If you know absolutely anything about Japanese animation you will surely have heard of Studio Ghibli. Purveyors of such fine films as Spirited Away, My Neighbour Totoro and Princess Mononoke, Studio Ghibli are often described as "Disney of the East" which is in my opinion an understatement. "Set in Yokohama, From Up On Poppy Hill is a high school love story that take place in the year before the 1964 Tokyo Summer Olympics. As the country begins to pick itself up from the devastation of the Second World War, the new generation struggles to move towards a prosperous future whilst trying not to lose the essence of their past. The film's rich and vibrant animation captures the entrancing beauty of Yokohama's harbour and lush surrounding hillsides and, with a soundtrack that draws inspiration from the finest music of the time, perfectly captures the thrills of young romance and the hope of a new dawn." 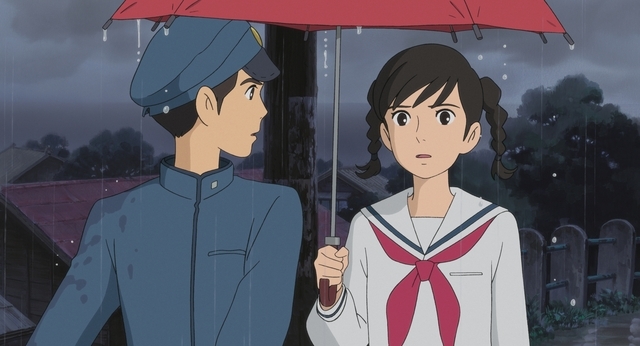 The release of any new Studio Ghibli film is cause for celebration and a cinematic release even more-so, but for a studio built upon a foundation of the fantastic, From Up on Poppy Hill fails to bring the magic. Just as one might expect, From Up on Poppy Hill is a stunning piece of animation. 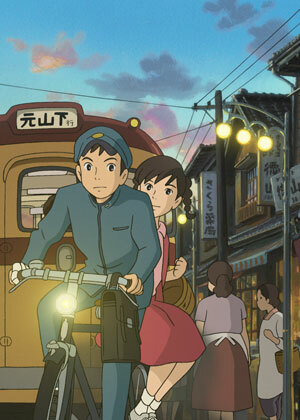 Director Goro Miyazaki (Tales From Earthsea) masterfully captures the old world charm of 1960's Yokohama with specific attention given to the lay of the land and flora in the harbour city. This is no doubt due to Goro's background as a landscape architect, his trade before joining in the family business. While capturing the beauty of nature, he has also managed to capture the beauty and innocence of post-war Japan. 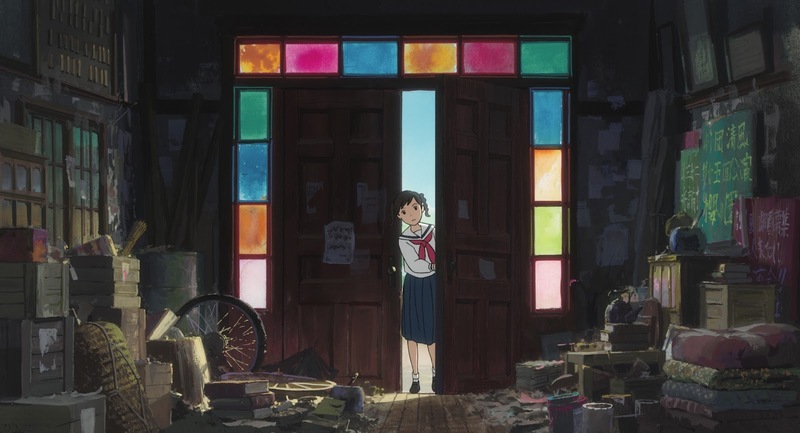 In fact, I couldn't help but feel that the film itself, more specifically the dilapidated "Latin Quarter", was a metaphor for post-war Japan itself. Like a nostalgic nod to the world in saying "we may be a bit rough around the edges but our youth can rebuild". This thread of hope will undoubtedly resonate with an older Japanese audience as well as youth who's lives have been irrevocably changed in the wake of the March 2011 earthquake. Unfortunately, the story itself is packs very little punch. The main story, that of the romance between Umi and Shun and it's link to Umi's late father, is overshadowed by the rebuilding of the Latin Quarter. Much time is spent on building up the love affair before being wrapped up in underwhelming style in the very last moment. Although both characters are prevalent throughout the film, neither are particularly memorable in appearance or characterisation. 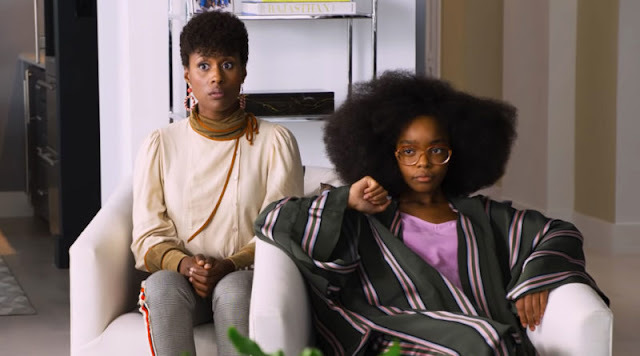 While this is a particularly tough storyline to make a strong impression, it fails to deliver the only thing that would save the story from mediocrity - strong and memorable characters. One area of absolute triumph is the soundtrack of relative newcomer Satoshi Takebe. It is absolutely beautiful and matches wonderfully with the visual brilliance of the film. From Up on Poppy Hill is quite a nice film but is in no way as magical or memorable as many that have come before it. The lack of fantasy brings it more in line with a film like Ocean Waves. With a focus firmly on nostalgia, Miyazaki has created a visually beautiful film that acts like a portal to yesteryear, a place that was much more innocent in the shadow of war and simple while filled with complications. While not as magical as previous Ghibli films, From up on Poppy Hill delivers a story that is a parallel of its narrative - a very pretty look at the simple delights of yore. From Up on Poppy Hill is currently screening at Madman's REEL ANIME festival in most Australian major cities. Head on over to the REEL ANIME website to check screening locations in your town.